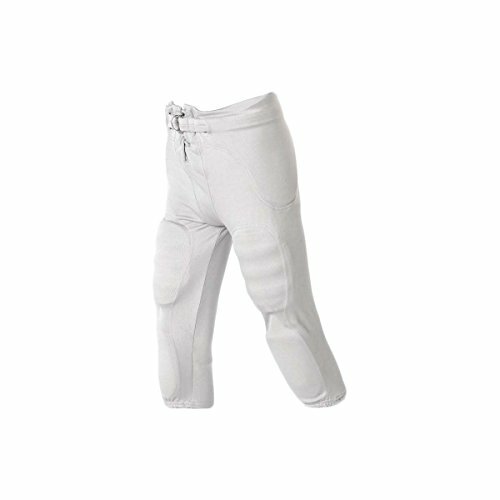 ALLESON ATHLETIC YOUTH SOLO SERIES INTEGRATED FOOTBAL PANTS The Alleson Youth Integrated Football Pants are the ideal football pants for low impact, youth football players. 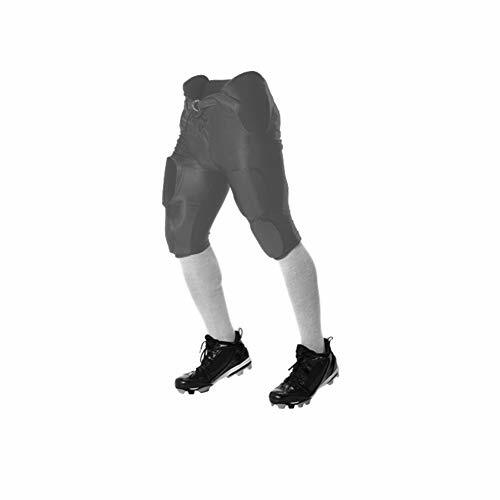 However, these integrated football pants are bar tacked at all key stress points for extra durability, and cover seamed throughout for additional strength. The five panel construction features a traditional duke crotch, and an attached belt with chrome rings. The 100% polyester stretch dazzle cloth is comfortable and functional - as these pants are completely machine washable for your convenience. The seven sewn-in EVA pads with stretch mesh pad pockets provide ultimate protection while you play, and maximum breath-ability while you sweat.
. 100% double-knit 13oz. polyester. Elastic waist with attached self-material belt. 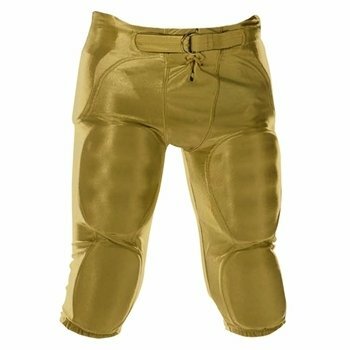 Built-in hip, tail, thigh, knee pads..
Alleson Solid Dazzle Integrated Football PantsThe Alleson Solid Dazzle Integrated Football Pants are made with a dazzle cloth body that consists of a 9.5 oz. nylon / spandex blend. 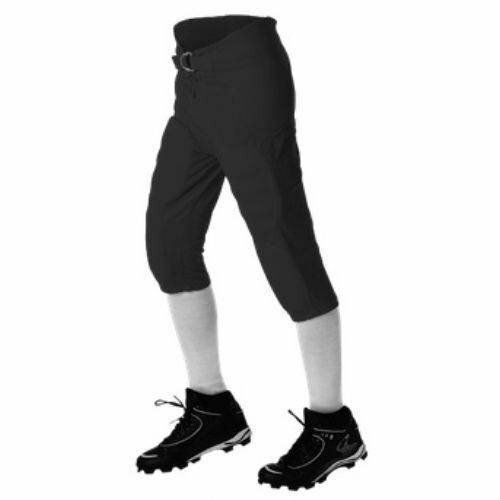 These football pants are the perfect combination of comfort and function. 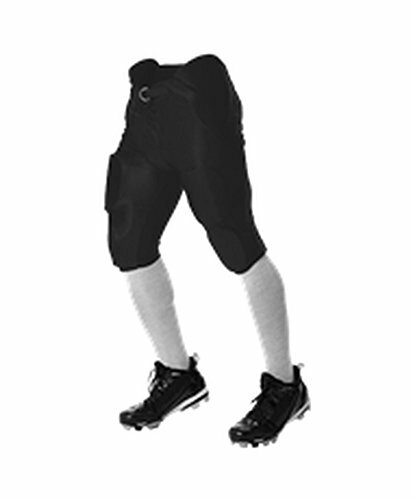 The Alleson Solid Dazzle Football Pants feature a five panel construction and a traditional duke crotch. 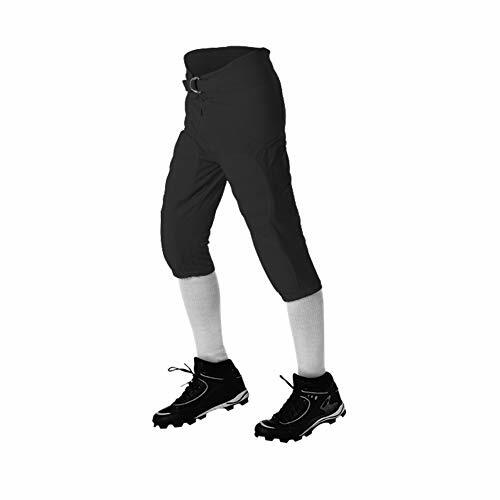 The sewn-in hip, knee and tail pads are designed from perforated EVA materials and feature stretch mesh pad pockets for added air flow where you need it the most. The EVA padding system contains integrated form fit properties to help keep your protective gear in place - right where you need it to be. 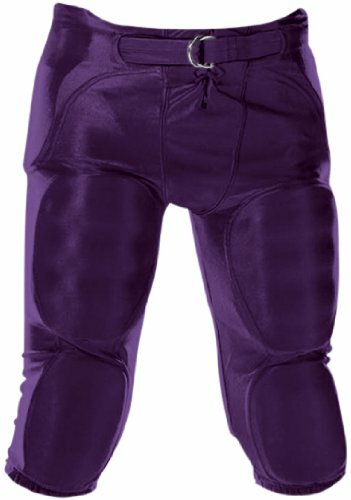 The Alleson Solid Dazzle Integrated Football Pants even come with an attached self-material belt, so there is no need to purchase a separate belt. 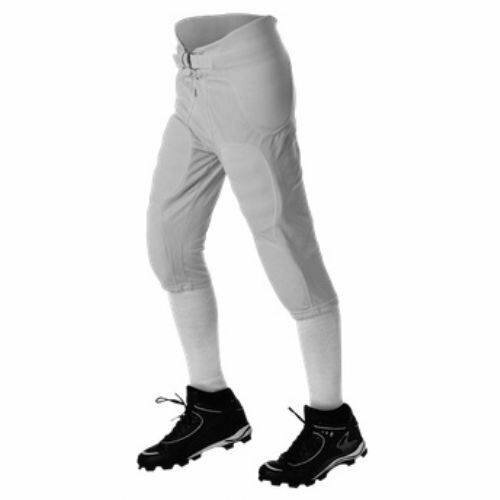 The covered seams make these football pants extra durable and they are even machine washable. 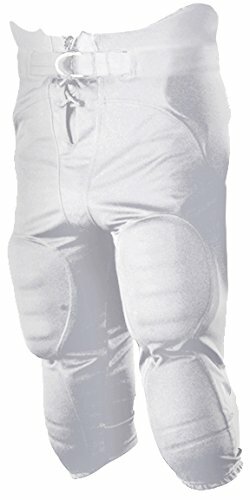 With two additional thigh pads, these pants are a fantastic choice for you this football season.